If you never had a water softener system before you might have questions about the need for water softeners and water filters in Jacksonville Fl. Most homeowners want a water softener to protect their new homes plumbing system from damage caused by hard water. While just as many more want better quality water for drinking and bathing. This entry will simplify the differences of a water softener and a water filter to help you determine what is right for you. Water softeners have a very narrow focus. Simply put water softeners focus on removing the minerals that make hard water. Excessive amounts of hard water will causes a wide variety of household problems especially to the faucet fixtures and water using appliances. Jacksonville Fl hard water levels happen to be the highest in Florida making the use of a water softener common. Using a ion exchange resin media, these water softeners remove the minerals that make water hard and exchange them for a sodium making softer water. Water filters focus on removing contaminants other than hard water. Water contaminants range from dissolved heavy metals to complex chemical compounds. Contaminants are noted by the E.P.A and each type of filter can be specifically engineered for a specific contaminant. There are contaminants in our Jacksonville city water that most homeowners want to remove. A chlorine / chemical removing filter can be either applied to your entire home or at a specific use point inside your home. For example a refrigerator filter is designed to remove chlorine from the drinking water. However chlorine reducing filter systems in Jacksonville FL are inexpensive making whole home chlorine removal very popular. Whole home filtration systems provide higher quality water throughout your home at every faucet. 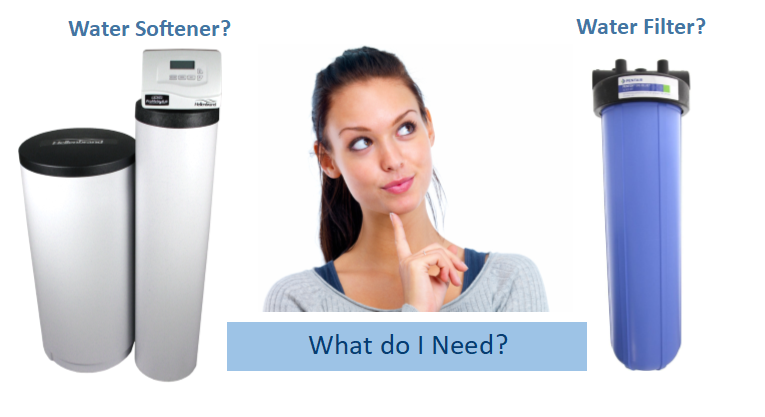 Most of our customers utilize this option in addition to a water softener system. For smaller more complex contaminants a reverse osmosis drinking water system is often used. A reverse osmosis system is installed at one use point in the home, at the kitchen sink, and uses 4 stages of filtration to purify the water. Those interested in the highest quality drinking water will use a Reverse Osmosis Drinking water system to assure their water is great tasting and safe. The reverse osmosis filtration process is much slower than a chlorine removal system that’s why it’s typically not applied as a whole home option. Reverse Osmosis systems remove, in addition to chlorine, Arsenic, Barium, Thallium, Chromium, Mercury, Lead and other very small contaminants.